Assassin’s Creed Odyssey arrives in a few short weeks, and news on the more technical aspects are coming out in droves. For instance, Ubisoft recently announced the game has gone gold, meaning the content is complete and ready for disc manufacturing. 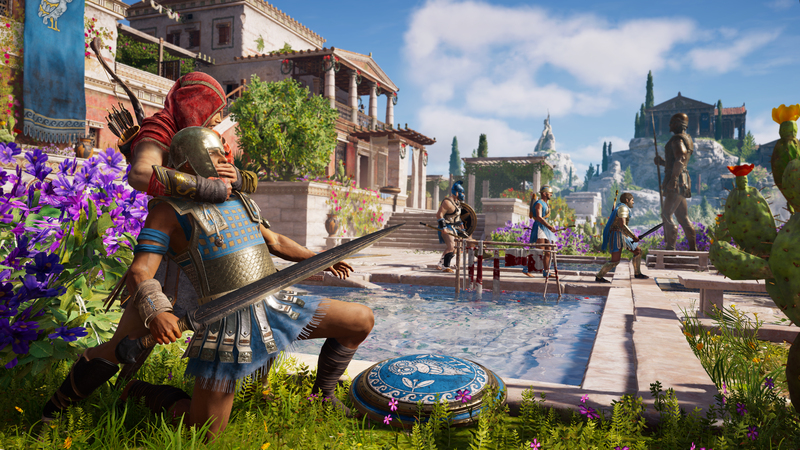 Now we know how much space said content will take up, thanks to Assassin’s Creed Odyssey’s pre-load availability on the Xbox One. The file size for Odyssey sits at approximately 45GB. This number isn’t too dissimilar from that of 2017’s Assassin’s Creed Origins, which came in at around 42. 3GB. Of course, the 45GB fails to account for the inevitable day one patch that will fix bugs and straighten out issues the development team didn’t catch before the game went gold. As the months following release continue on, fans that maintain interest in the title will no doubt find that Odyssey will require even more space. In addition to more patches and free DLC, content for the new Assassin’s Creed has a lengthy roll out plan ahead of it. The Season Pass, which costs $39.99, features two “story arcs” and access to Assassin’s Creed III and Liberation. These “story arcs” are episodic adventure, each consisting of three parts. Legacy of the First Blade, the first of the two arcs, goes live in December 2018. The second of the two, The Fate of Atlantis, launches sometime in Spring 2019. Interestingly, the aforementioned free DLC is set to trickle out between each episode. Assassin’s Creed Odyssey hits the PlayStation 4, PC, and Xbox One on October 5, 2018. Those that plan on experiencing Odyssey in full will require much more than 45GB of space on their hard drive.